Check out yesterday’s post for Part One of this article! After Superman Returns disappointed critically and commercially, Superman’s future remained unclear, even as Christopher Nolan’s Batman films took off. 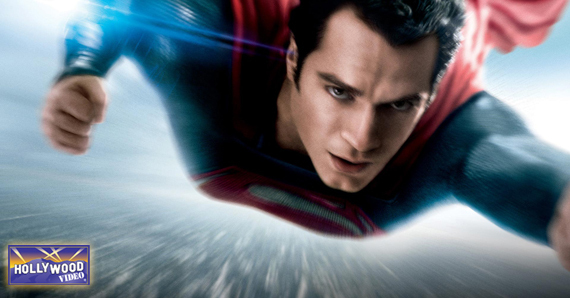 A few directors’ names floated around a Superman reboot. Finally, Warner Brothers settled on Zack Snyder, who helmed Watchmen and 300. Nolan’s involvement as producer got people even more intrigued. Then, the trailers started to hit. 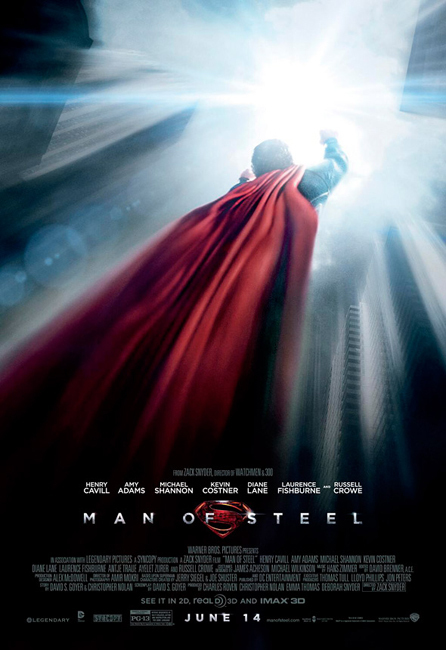 I don’t think I’ve ever seen so many people’s opinions change about a movie as I have for Man of Steel. What was originally met with skepticism and a general lack of interest has become one of the most hyped and anticipated movies of the summer. Why? In Superman Returns, the action seemed very forced. Superman wasn’t facing a villain who could match him physically. Lex Luthor is an important character in the Superman universe, no doubt. But fans tire of enemies randomly finding more kryptonite to weaken Superman to the point where he can’t even stand up. Man of Steel changes all that. 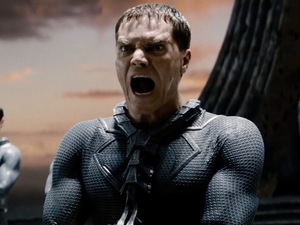 Michael Shannon’s General Zod gives a formidable opponent, both mentally and physically. Zod can stand toe to toe with Superman. And based on all the explosions and fights teased in the trailers, it looks like we’re finally getting a Superman movie where he throws down on a big scale. This may sound like it should be a given for a superhero film. But in Superman Returns, Clark Kent was just too… perfect. Audiences want flawed heroes. That’s why films like Iron Man and The Dark Knight trilogy became so successful. They had major character flaws. They weren’t these perfect beings. They had issues to deal with. It looks as though that’s the case in Man of Steel. Clark Kent seems like an aimless wanderer in the early parts of the film. Then it’s about discovering who he really is and trying to fulfill a greater purpose. Those are struggles people can relate to. I had my doubts about a Superman film more grounded in “reality.” But the trailers have erased most of my doubts. This isn’t some rosy world where we never really sense any characters are in danger, like Superman Returns. There’s destruction, worlds ending, and a villain who seems capable of fulfilling his plan. Things seem darker this time around. Mixing more fantastical elements within a darker world looks like it will deliver the Superman movie fans have been waiting for. This entry was posted in Reviews, The HV Blog and tagged man of steel, superman, superman returns by LukasE. Bookmark the permalink.